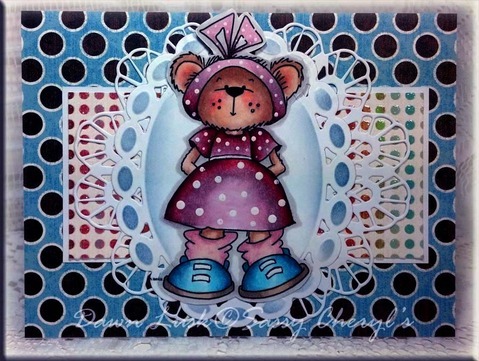 Sassy Cheryl's Digi Stamps Challenge Blog: Challenge #125 - Polka Dots EVERYWHERE! using: "Sassy Sally in her Inner Tube"
Congratulations Miz Barbara Diane!! Please contact Sassy Cheryl to claim your prize! And ENJOY! using: "Avery finds her Prince"
using: "Just Plain 'ole Peyton"
using: "Jeni's Ladybug and "Bella's Flower"
Such polka-dotty fun, huh? OK, now before you get started on your own "Polka Dots Everywhere" projects, please take a few minutes to pop on over to the Design Team's blogs (just click on their names) to find out more about their clever creations...and please remember to leave 'em each a little "love" while you're there! Then it's YOUR turn! You'll have until, 5 PM EST, Monday, July 30th to get your image & blog linked up to be entered in the TWO FREE image drawing! And remember, you are not required to use a Sassy Cheryl's Digi image, but we'd love it if you did. And if you use a SC's image you'll be entered twice in the drawing!! CONGRATULATIONS Barbara! 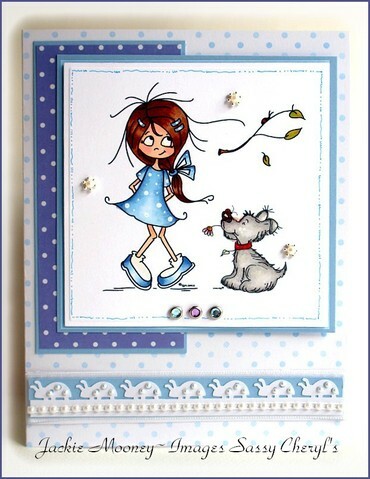 What a fabulous little card! Ladies. . . 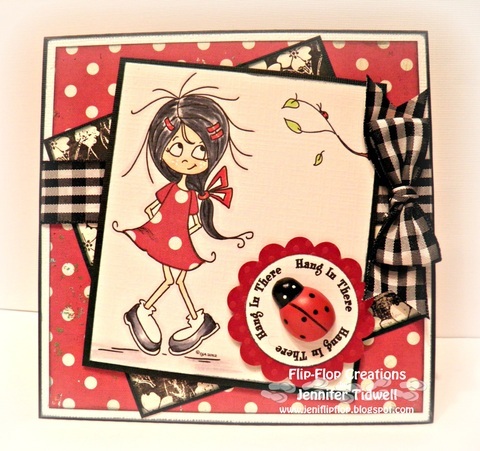 I'm LOVING these cards and of course you know Polka Dots are my ALL TIME FAVORITE! Good choice Mz. Sassy Judy! Congrats Barbara Diane. I love your card. Ladies, what absolutely stunning creations. I love polka dots, so thanks for another great challenge. Congrats Barbara Diane. Sweet summer card! 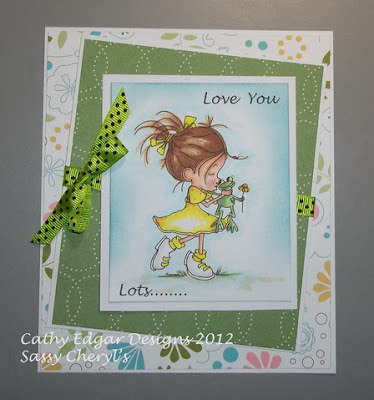 Lovely DT samples and such a fun challenge!